Eugene Chee Jia Jiunn first started his music education at the age of 11 when he gained interest in the piano. Then he picked up the clarinet where he join the Kian Kok Middle School Concert Band in the year 2007 (13 years old). Throughout his secondary school years, he is able to learn with tutors from West Malaysia, Taiwan and UK. In year 2009, Eugene joined the Jesselton Philharmonic Orchestra and has been actively performing with the orchestra since. 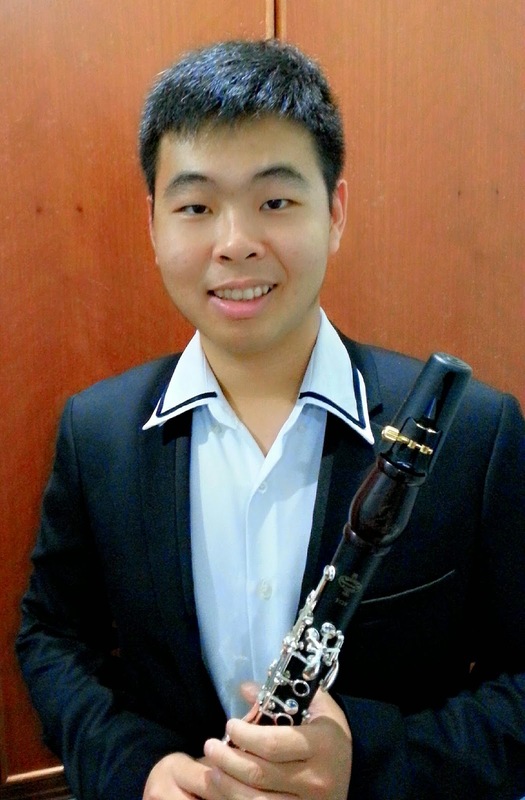 His passion for music and interest in winds instruments led him to a small town in Sitiawan, Perak where he learnt Band Instrument Repair Technology under the guidance of Mr. Tan Qin Wei (founding member of the Malaysian Philharmonic Youth Orchestra) starting on April 2013. Recently, Eugene was being selected to be a member of the Malaysian Philharmonic Youth Orchestra. Eugene returned to Kota Kinabalu December last year and started his own business named “JJ Reparo Studio” as a qualified technician. Besides doing repairs and performing, he now plays the Clarinet, Flute and Saxophone and also Tutor some local secondary schools.